The leading manufacturer of digital and electronic products, Umid has announced its new portable laptop, Umid Mbook M1D, for replacing the old Mbook M1. Umid Mbook M1D features 4.8-inch touchscreen display and 1.1 GHz Intel Atom processor while still functioning as a regular e-dictionaries that pre-installed with multi-language software content provided by Doosan. 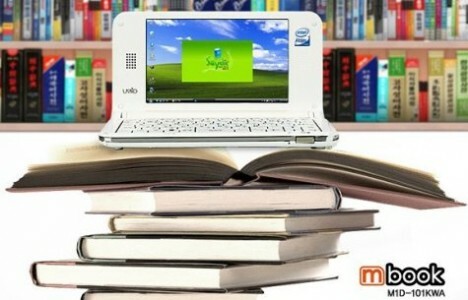 The new Umid Mbook M1D does not include a webcam or the DMB module as found in earlier M1 models. The new Umid Mbook M1D measures 158 x 94 x 18.6 mm and weighes only 315g. Umid Mbook M1D are available either in black or white version but the price and availability date have yet to be announced.